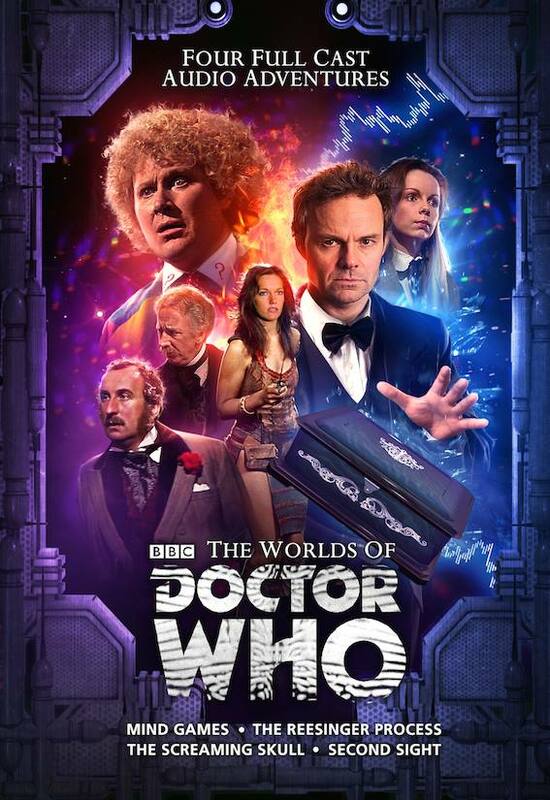 Explore THE WORLDS OF DOCTOR WHO in new limited edition audio adventure | The Daily P.O.P. With all of time and space as a backdrop, Doctor Who is a series with limits (aside from budgetary constraints… and the 80’s). While the new Doctor Who has been exploding across screens all over the globe, the classic program has continued in audio adventures from Big Finish. These stories have been entertaining fans young and old and reunited nearly every living actor and actress who appeared in the 26 year-long run. The latest adventure spans Victorian London, swinging 60’s, U.N.I.T.’s Vault and far away Gallifrey, bringing together the Counter Measures Team (from ‘Remembrance of the Daleks’), Jago and Lightfoot (from ‘The Talons of Weng Chiang’), Daphne Ashbrook and Yee Jee Tso (from the 1996 TV Movie), Romana, Leela and the Sixth Doctor. An epic adventure uniting the Doctor’s friends across time and space, featuring Jago & Litefoot, Counter-Measures, the Vault and Gallifrey! This Post was posted in Big Finish and tagged doctor who big finish. Bookmark the permalink.